Kitchen Design — Empire Group Fine Construction inc. Empire Group. Brentwood remodel to an original 1920's spanish estate adding a new kitchen, study, butlers pantry and powder room. Here are some of my design suggestions and favorite products that I have used over the last 20 years. Paint the Island a contrasting color to the rest of kitchen to add interest. You can also use a different material on the countertop to break up the kitchen. End grain Walnut is one of my favorite island countertops with sink groves if you have an island sink. For dog lovers I have used two great ideas for kitchens. The first is a open dog bed in place of a cabinet base. I leave an open area about 24” across and I line the sides, rear and elevated base with removable cushions attached with velcro. The second is to build a doggie drinks drawer into the toe kick of one of the base units. This allows you to shut it when you don’t want to see it. For appliances I like to use Miele steam oven for healthy cooking. A single oven as well as a range for everyday use and ease of cleaning. I am a also big fan of the Miele coffeee machine with a direct water line feed that avoids having to fill reservoir over and over. For an amazing range consider using the La Cornue 60” if you can afford it. This is like a jewel in the kitchen and adds incredible style. For refrigeration I like to set a side by side 30” Miele refrigerator and freezer. If you can build it into a wall and add columns to create a point of interest with cabinets above looks best. In a kitchen use columns and push forward the sink base and range. Also pay attention to the cabinet interiors. Use magic corners for corners situations, custom made knife blocks in slim drawers, tray dividers above ovens, pot holders in deep drawers. Column pull outs with racks for spices next to Ranges or soaps next to sinks. Empire Group. English Kitchen in New Development in Santa Monica. Cabinetry looks best with an inset door and exposed european hinges. On the upper units put the 26” tall units to the ends and then use a dresser at 20” deep on the inside and then upper units at 14” deep. 12” is standard but I find that some plates can be slightly too large. 25” deep base units 36” high should die into the sides of the 26” deep tall units. All drawers should have Hafele self closing drawer slides. Incorporate glass cabinetry in the upper units & dressers. This adds interest & breaks up the plain face of solid doors. Use antique seeded glass to give a more interesting look & texture. Empire Group. Brentwood Development traditional Kitchen, showing walnut top Island and broken line cabinetry. For the galley way between island and wall units 36” is a minimum but I like 42”. This allows you to walk around dishwashers and refrigerators with ease. A kitchen is incomplete without a walk in pantry for dry goods and a butler’s pantry with sink & warming drawer as a staging area on route to Dining room is a must. For classic kitchen inspiration I like Christopher Peacock and Smalbone of Devices. I usually like to use a custom kitchen cabinet company as I do like to customize with more detail but at a lower cost. Very important to get a good finisher if you are doing custom as a bad finish will ruin good cabinets. For a more contemporary kitchen the Germans and Italians have the best styled cabinets. Usually a lay on door with European hinges. My favorite contemporary kitchen comapanys are Boffi, Balthaup and SieMatic. Smallbone also does several nice modern kitchens worth considering. Other fun things to incorporate into your kitchen are fireplaces and Pizza ovens. Built in window benches in bay windows next to kitchen make great breakfast areas. I usually like to design conservatory style breakfast room with glass on all sides and sometimes I will throw in a conservatory roof. Empire Group. Breakfast room in an all glass conservatory. I used this concept in London many times to great effect. For countertops I like Calcutta marble honed, Soap stone, Nero marquina marble. Backsplashes are important as they create texture. Sometimes I like to use small mosaic marble around the cabinets and up to ceiling. Behind the stove you should create a focal point with maybe a herringbone with a border. I find that Walker Zanger, Waterworks and Ann Sachs have some of the best material available. For stone floors I like to use reclaimed stone from Unique Stone in San Diego or Compas stone on La Cienega. 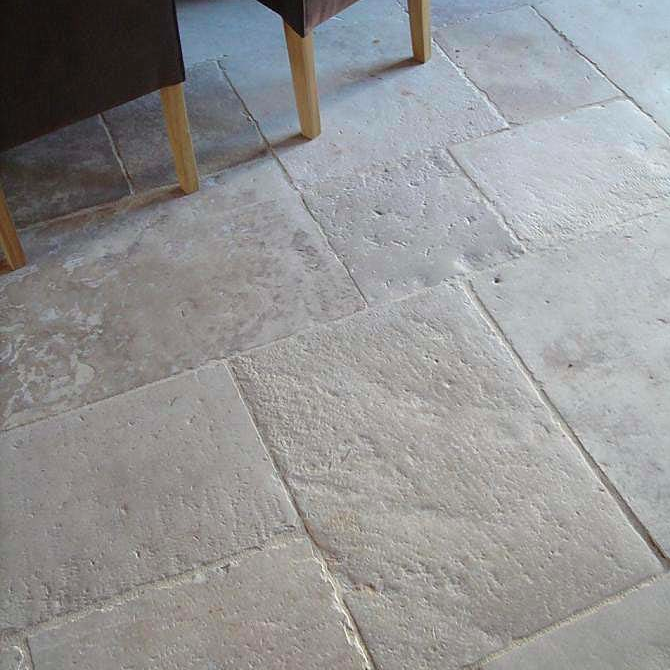 Reclained Pierre de Bourgogne makes for beautiful kitchen floors. Comes in greys and creams. 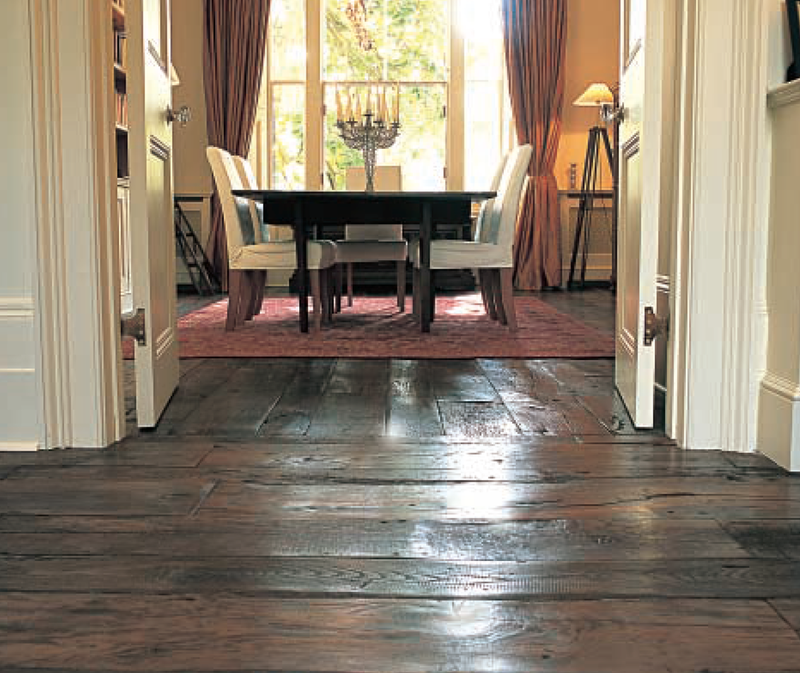 For wood flooring my favorite product in the world is from Antique Wood Flooring in England. 200 - 300 year old burnt oak with a wax finish. I am slightly biased because I am their agent in the USA. For Door hardware I like to use Nanz and Gerber Hinge hardware. I will sometimes use a decorative back plate to give a knob more importance. For faucetry I like yo use Waterstone in the kitchen because they are one of the few companies that have water filter faucets, air gaps and soap dispensers that match the kitchen faucet. For a custom higher end product use Compas Kitchen faucetry. They have a great many finishes to choose from that you won't find anywhere else. Lighting is also very important. Try and use layered lighting with different circuits for each layer. One of my favorite lighting companies in the world is John Cullen. I worked with them of several London projects and I can honestly say they are without doubt the best lighting designers and products that I have ever had the pleasure of working with. John Cullen using LED lighting with the ability to change color and mood.. The ceiling down lights I like using are trim less LED lights that disappear into the ceiling. Under cabinet and in cabinet lighting should be on different circuits and again adds layering. Sconces add a nice decorative filtered light and for extra interest use LED rope lighting at toe kick and also in the ceiling above a cove. Spot light important appliances such as refrigerators and ovens. Acculux trim less LED can lights in Kitchen ceiling. Empire Group always uses 3D CAD design for all of our clients. This helps them visualize the Kitchen space and helps us in the manufacturing of the cabinets. Empire Group. CAD design for Moreno Kitchen Development.